I have been married to my wife, Lauren, for five years, and we live in Columbus. My mother, father, and sister live in my home country of Cameroon, Africa. My brother is currently living in Atlanta where he went to college. My American family lives in Columbus and Harris County, and are a very pivotal piece of my life. I went to Abraham Baldwin Agricultural College, ABAC, where I received a scholarship and played tennis at #1 and #2 for singles and doubles. After ABAC, I received a scholarship to play at Georgia Southern University, where I received a Bachelor’s of Business Administration with a Minor in Economics. At GSU, I played #1 in singles and doubles and was named to all-Southern Conference my senior year. My dad was a tennis coach. However, I didn’t want to play tennis at first; I wanted to play soccer. 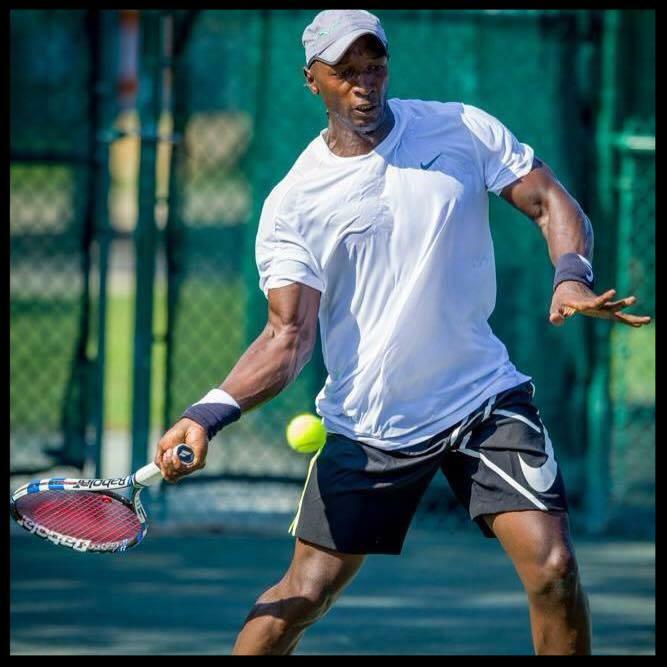 My dad continued to motivate me to play tennis and train. I started to love tennis and began to excel at playing and competing. What are you doing now? plans for the future? 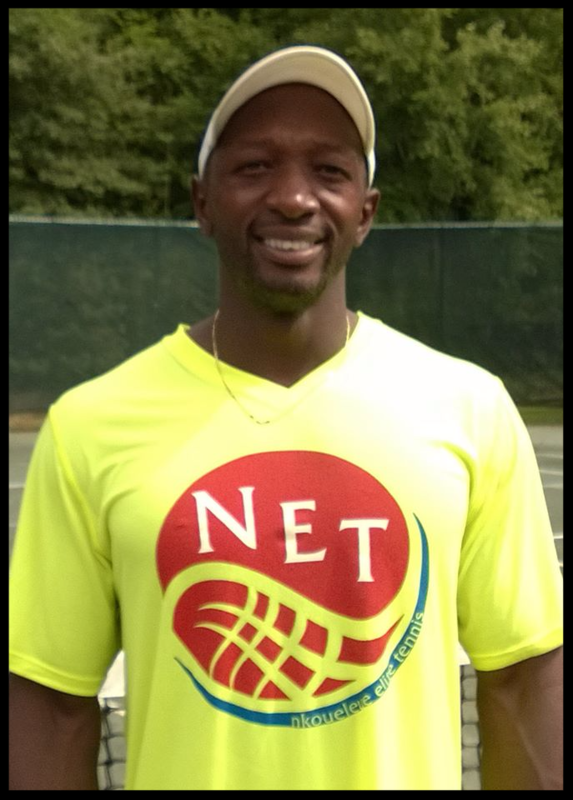 I have my own tennis business, NET – Nkoueleue Elite Tennis, and I’m the Junior Director for Green Island Country Club. As a tennis pro/coach, I focus my teaching on the youth. 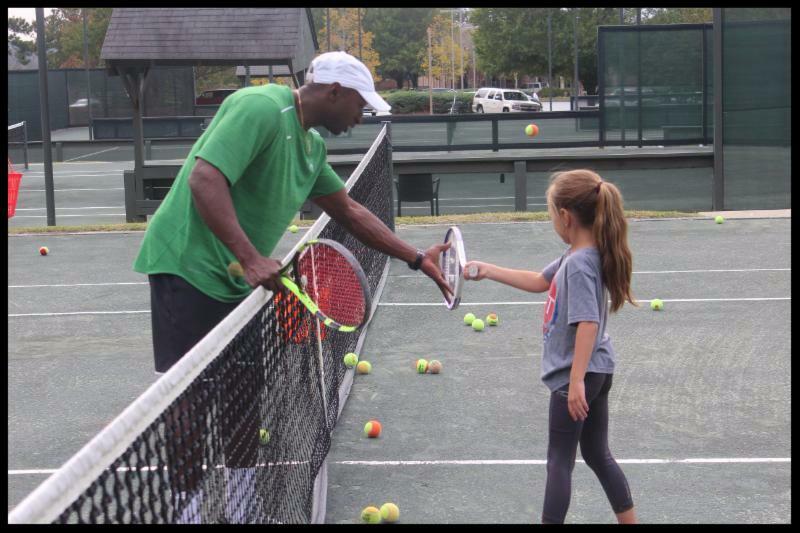 I coach junior tennis academies for kids from 5-18 years old. Professionally, my goal for the future is to build a tennis champion from Columbus by continuing my work at GICC. Personally, my wife and I plan to have children and build a family. How did CCS prepare you for where you are now? Calvary prepared me spiritually for college and the real world beyond. Coming from another culture, faith helped me to choose my friends wisely and stay on a good path. I was able to withstand the major pressures of life. It also gave me hope, hope that in the States I would become successful to support and see my parents here with me. Advice to CCS students and/or recent graduates? Sometimes you have to think of the bigger picture. We have the Bible, but when you travel outside of Columbus or the States and meet other people, you see that not everyone believes what you do. I have friends and competitors from many different belief systems. You have to learn to adjust while being a good Christian example to others. Calvary Christian is a great school and gave me a solid base to take with me through the rest of my life.